Your knees are complex joints (cartilage, ligaments, and tendons) that keep you on your feet and allow you to work, play and so much more. Your knees are also vulnerable to injury and degeneration. Knee pain or injuries can take the form of knee straining, ACL tears, knee joint dislocation, MCL tears, partial knee tears, knee hyperextensions, etc. Repetitive activities like stair climbing, running and other activities can cause the inflammation, tears and stress that leads to knee problems and knee conditions. Most adults will experience knee pain at some point in their lives. Constant use, overexertion, injuries, disease (osteoarthritis) and just the aging process, tend to take their toll. Most knee pain is minor and can be treated by rest, the application of cold therapy (ice), the avoidance of heavy exercise, avoiding weight-bearing activities and physical therapy. In more serious knee pain problems or injuries, more dramatic knee pain treatment options and procedures may be required. Doctor Pannozzo, an Arizona pain specialist, knows knees and he knows what knee pain treatments work for your specific condition. Knee pain treatment options are based on severity, age, activity levels, and other factors. Physical Therapy for knee pain treatment can include stretching, exercise, ultrasound massage, and electrical nerve stimulation. Under the guidance of a trained physical therapist or doctor, physical therapy can help relieve knee pain and expedite healing after injury or surgery. Injections. Injections can include treatments that introduce supplemental fluids (hyaluronic acid) to lubricate and coat the knee’s joints. If your knee pain is caused by osteoarthritis, this may be a viable, effective option. Prescriptions. When over-the-counter medicines like NSAIDS, Advil, Motrin are no longer as effective, other prescriptions may be necessary. Knee surgery may be an option when other methods have not helped alleviate knee pain and the pain and immobilization are great. Arthroscopic surgery may be a knee pain treatment solution, especially if the knee pain is caused by torn cartilage or ligaments. There’s also joint replacement surgery, ACI surgery, abrasion arthroplasty and more. 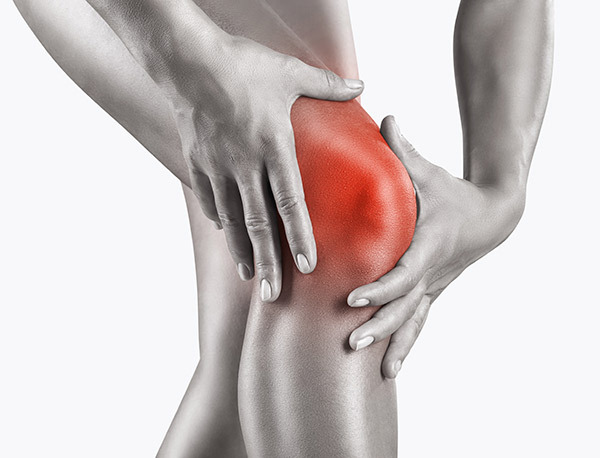 Dr. Pannozzo, a knee pain treatment specialist, knows which is best for your knee condition.